If you have any questions or want to enquire about dates, use our form to contact Claire Gotto. From the friendly terrier that greets your arrival to the genuine care of Chris and Claire, you’ll feel right at home here. Families will particularly love the top floor rooms with shared bathroom – your own little empire.For breakfast, Chris gives you Ballymoloe strawberry muesli then mans the Aga for a full fry up with eggs from the farm next door and jams made by a friend. You eat at an ancient refectory table, just as Charles II is rumoured to have done almost 400 years ago.Claire is slowly restoring the walled garden (roses, pretty paths, fruit trees and many birds) and evening is the time for a stroll around. 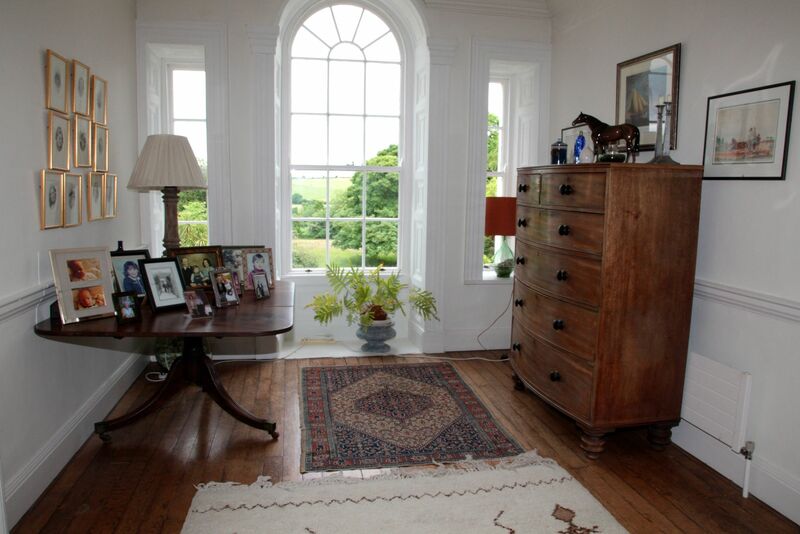 The sitting room and conservatory are yours so plan the next adventure in the countryside or on the dramatic coastline. A place to bring books and unwind. 1 December - 17 March. Singles from €90. Top-floor double and twin let to same party for €160. From the moment we arrived we felt at home. Clare welcomed us with a pot of tea accompanied by biscuits and cake. We settled down in the garden room, filled with life and colour both out-side and in and only when we were completely comfortable were we taken to our room, which was perfect. Bright and sunny that afternoon, but with those wonderful heavy curtains for when it was time to sleep. Both Clare and Christopher couldn't do enough for us, giving us lots of ideas of what to do and see and making sure we had everything we could possibly need. We will definitely be going back. 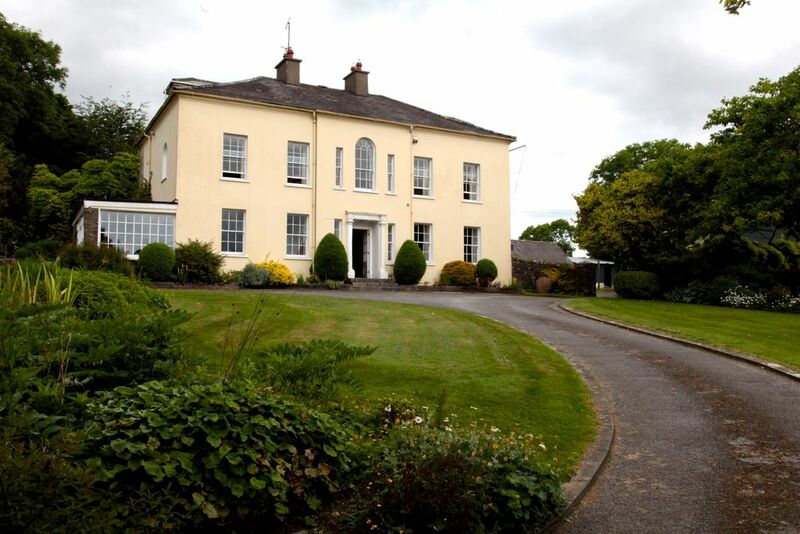 It may feel like rural bliss here, but you’re only twelve miles from Cork and its international airport. The Overdraught is a cheery local pub a mile and a half down the road, famous for its fish pie and other pub favourites. A ten-minute drive gets you to the seaside villages of Crosshaven and Myrtleville for beaches, shops and places to eat: just two of many gems dotted along the coastline. Kids will love the wildlife park on Fota Island in Cork Harbour. Set in lush rolling countryside, a stone’s throw from wonderful beaches, this Georgian country house was built in 1791 and has distinct authentic charm. Enjoy Chris’s breakfasts made with the freshest of local produce and homemade preserves – he and Claire are superb cooks and bakers. 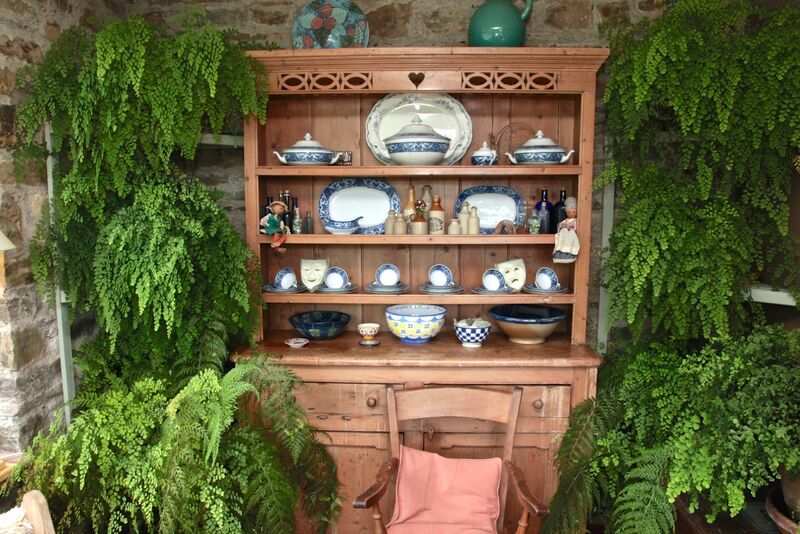 Classical and contemporary paintings, rare ferns and sculptural pieces are scattered throughout the house. A kitchen garden boasts a dovecot, roses, explosions of wisteria, hostas, pear and apple trees, a glasshouse with tomatoes and fig trees. We’re halfway between Cork City with its food markets, shopping and galleries, and Kinsale with its historic attractions, restaurants and scenery (both 15 mins). This is the starting point for the Wild Altlantic Way and the wonders of West Cork and Kerry, with Skellig Michael and the Blasket Islands within a day’s drive. Whether it’s golf, bird watching, photography, sightseeing, surfing, archaeological tours, whiskey-tasting, family-tree research, kayaking or whale-watching, Willowhill House is the ideal base. Chris and Claire inherited the house from his parents and are gradually making it their own. Chris ran the family farm next door until his son was ready to take over, while Claire has a background in history and is an avid gardener – you’ll usually find her outdoors and him in the kitchen. They love having guests and will happily ply you with tea and coffee while they talk you through all County Cork has to offer.